Walk into our chamber for up to 3 minutes for a chilling, invigorating, experience of a lifetime! 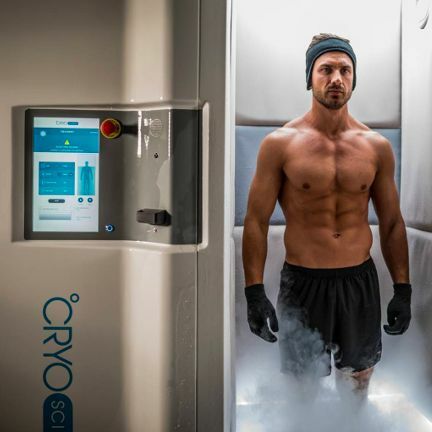 Whole body cryotherapy exposes the body’s outer layer to extreme cold. A reaction in the central nervous system is triggered, causing a natural anti-inflammatory response and the release of endorphins resulting in a flushing of toxins and a surge of energy. Our technician will guide you through this amazing experience to make it the most comfortable and beneficial to you. Have the window open or closed according to your comfort level. Want the technician to talk you through or would you rather listen to your favorite music? The choice is yours. When you exit, envelope yourself in a cozy robe that has been warmed while you chilled! 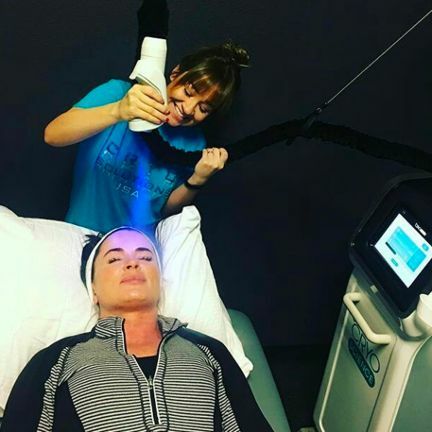 Using the CryoPenguin, nitrogen cooled air is applied to the face, neck and scalp. 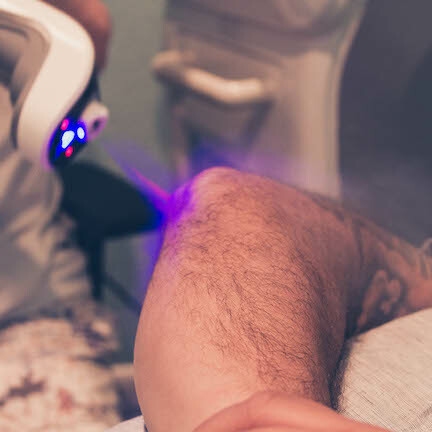 This procedure can decrease pore size, stimulate collagen production, and bring about a more even toned appearance reducing fine lines and wrinkles – the visible signs of aging. Some have even experienced hair regrowth on their scalps. Experience 10 minutes of relaxation and rejuvenation while we help to make you look and feel younger! How cool is that?